This framework provides the foundation for brand messages that are clear, consistent, and compelling. 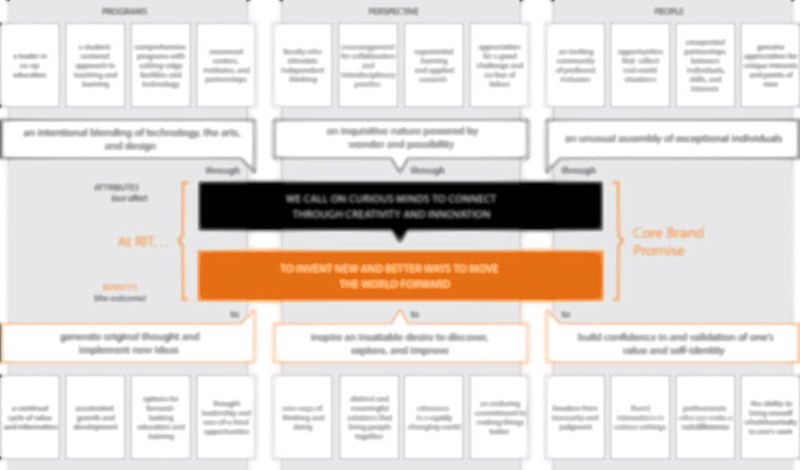 The message map prioritizes and organizes the most important messages for telling the RIT story by illustrating the relationship between attributes and beneﬁts. Our story always connects to the center of the map — the core brand promise. Based on the needs of the target audience and the speciﬁc message we need to deliver, we can determine an appropriate secondary message and proof points. An attribute is what we offer to our audiences. Attributes include things like programs, facilities, culture, and experiences. A beneﬁt is what our audiences get. It’s the value of the attributes that we offer, and why they matter. Staying on message allows us to communicate our offer to the world in a compelling way that’s uniquely ours. With our brand essence as inspiration, we begin to shape our story around three pillars that make RIT distinct: our programs, our perspective, and our people. At the core of the map, our brand makes a promise, which is at the heart of what we do and why it matters. Secondary messages establish a point of view for our story, and speciﬁc supporting points prove our message true in very real and speciﬁc ways. Determine your audience and objective. Figure out who you’re talking to before you decide what to say and what you’re trying to achieve. Consult the message map to align your topic with speciﬁc attributes. 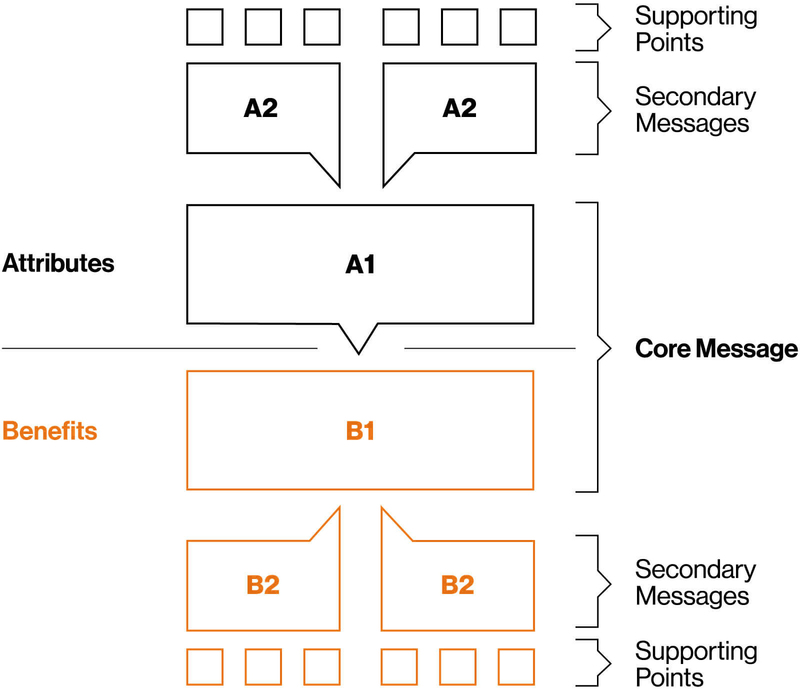 When possible, connect supporting points with a secondary message to strengthen your message. You may have found one beneﬁt, or you may have found several. You’ll want to narrow your focus to the most important beneﬁt—that’s what you need to get across ﬁrst. Any supporting beneﬁts should act as talking points, complemented by the attributes of the topic you are promoting.